This storage unit offers a practical solution to your daily storage woes. Keep all your gardening tools and equipment safely secure in this fantastic BillyOh ECO Partner Double Door Apex Metal Store Shed. Perfect for homeowners with limited garden space, this metal shed makes a great addition to any garden. The BillyOh ECO Partner Double Door Apex Metal Store Shed offers the option of an easy assembly Steel Foundation Kit which you can use on any level surface, such as soil, concrete or paving slabs. Assemble this shed on a pre-cut foundation kit for a perfect square base. 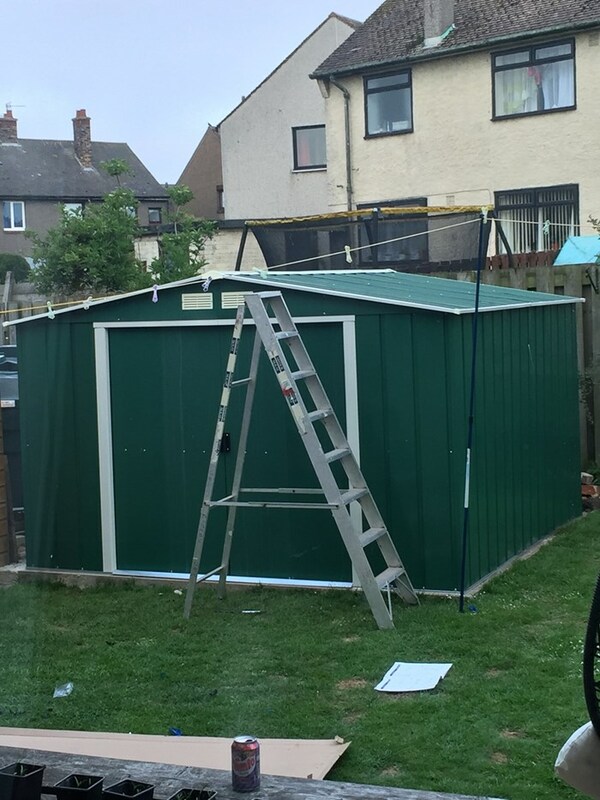 One of the main benefits of opting for a metal shed over their wooden counterpart is that you don’t need costly and time consuming treatments. The BillyOh Partner Apex Metal Shed comes with a comprehensive manual that makes assembling the shed as easy as possible. Width 202cm 6'8" 202cm 6'8" 262cm 8'7" 322.1cm 10'7"
Depth 122.1cm 4' 182.2cm 6' 182.2cm 6' 242.3cm 7'11"
Ridge Height (Inc Floor) 180.5cm 5'11" 180.5cm 5'11" 191cm 6'3" 196.1cm 6'5"
Door Opening Size (w x h) 81cm x 155cm 2'8" x 5'1" 81cm x 155cm 2'8" x 5'1" 101cm x 159.8cm 3'4" x 5'3" 101cm x 159.8cm 3'4" x 5'3"
Width (Internal) 187.6cm 6'2" 187.6cm 6'2" 247.6cm 8'1" 307.6cm 10'1"
Depth (Internal) 100.3cm 3'3" 163.4cm 5'4" 160.3cm 5'3" 307.6cm 10'1"